﻿ Best Price on La Residencia del Paseo Apart-Hotel in Las Terrenas + Reviews! Have a question for La Residencia del Paseo Apart-Hotel? Built in 1998, La Residencia del Paseo Apart-Hotel is a distinct addition to Las Terrenas and a smart choice for travelers. Set 0.1 Km from the excitement of the city, this 3-star hotel commands an excellent location and provides access to the city's biggest attractions. A haven of rest and relaxation, the hotel will offer total renewal just steps away from the city's numerous attractions such as Plaza Commercial El Paseo de la Costanera. La Residencia del Paseo Apart-Hotel also offers many facilities to enrich your stay in Las Terrenas. Free Wi-Fi in all rooms, Wi-Fi in public areas, car park, airport transfer, babysitting are just a few of the facilities that set La Residencia del Paseo Apart-Hotel apart from other hotels in the city. 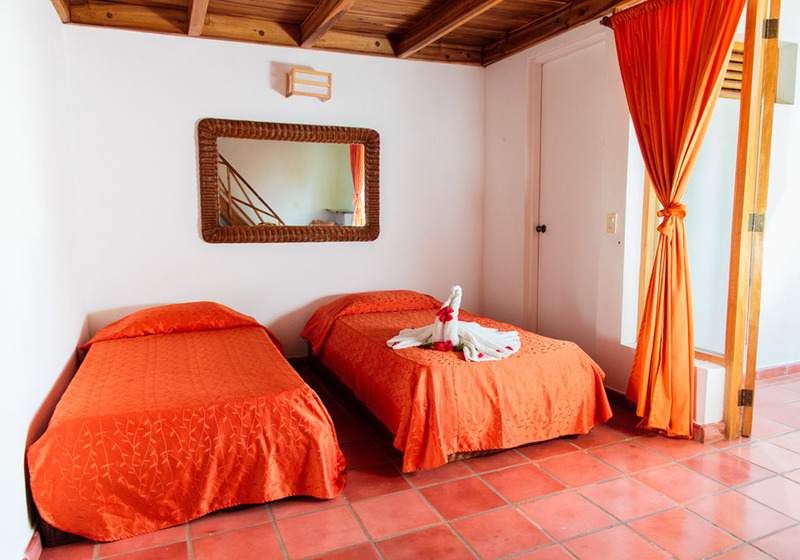 The ambiance of La Residencia del Paseo Apart-Hotel is reflected in every guestroom. internet access – wireless, internet access – wireless (complimentary), non smoking rooms, air conditioning, balcony/terrace are just some of the facilities that can be found throughout the property. The hotel's recreational facilities, which include outdoor pool, massage, pool (kids), table tennis, garden are designed for escape and relaxation. With an ideal location and facilities to match, La Residencia del Paseo Apart-Hotel hits the spot in many ways. For the money, this is a great deal. Central location is the best with easy walking to local beaches, clubs, businesses, etc. Plenty of great local restaurants, colmados, within a few minutes walk. 10 minute walk to a large supermarket. The staff is very helpful, efficient and friendly. Some of the furniture is dated and could use some updating, but overall for the $$, it's a great deal. The young lady that ran the front desk most of the days was excellent, very helpful and detailed. She was a gem. All the staff were friendly. The location cannot be beat and despite being in the center of activity the room was plenty quiet. The rooms are a bit dated and they could upgrade some of the beds, furniture and fixtures. TV was excellent with a wide variety of channels including some English channels, but I didn't watch much TV anyway. Cooking utensils were pretty good. The have their own backup generator so power outages were brief, hot water was plentiful. Already planning to go back to this place. Works for me. Not much english spoken but we understand enough Spanish to deal with the staff. Hotel location is right ideal. Two minutes from the beach and very close to restaurants and bars. Overall for the location and the rates a good option if you want to be downtown. The room was clean. The kitchen was fully equipped and the staff cortous. This was my second time around and like the first time it was a good experience overall. Access to the beach, to restaurants, did I mention the beach? We've stayed here before and will again. It's good value for the price and, even though it's right in the middle of the city, it's still quiet. Access to the restaurants and beaches is unbeatable. Central location. Small but nice pool. Friendly staff. Friendly staff. Nice courtyard with a small pool. The room fixtures and furniture are relatively basic and run down. They did keep it clean. Mosquito netting for the beds would have been nice. This is not a fancy hotel, it is designed for families on a budget to stay together in a suite for longer periods than a few days. Las Terrenas is a European-oriented resort town, lots of euro-expatriates. After Spanish the French language is most prevalent, then English.